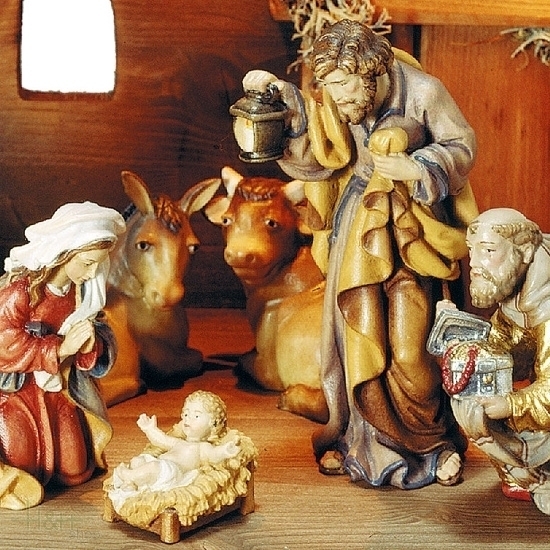 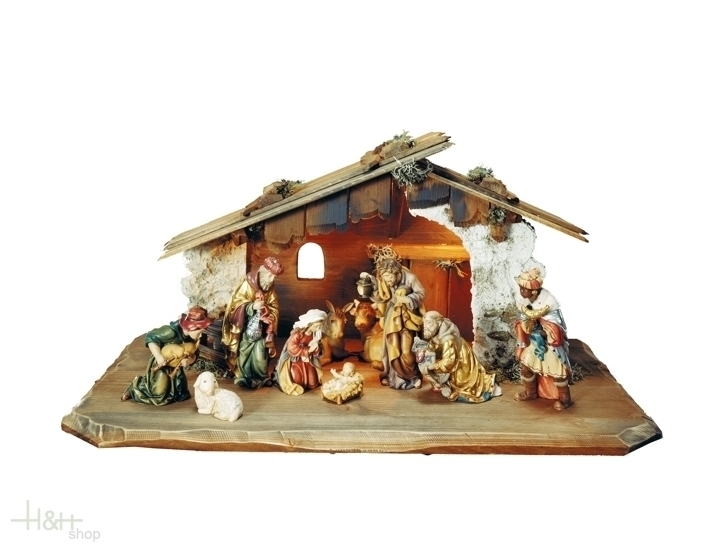 The crib with wooden hut is made up of 12 hand-carved statues representing the Nativity, the three Kings and other figures from the crib as animals and shepherds. 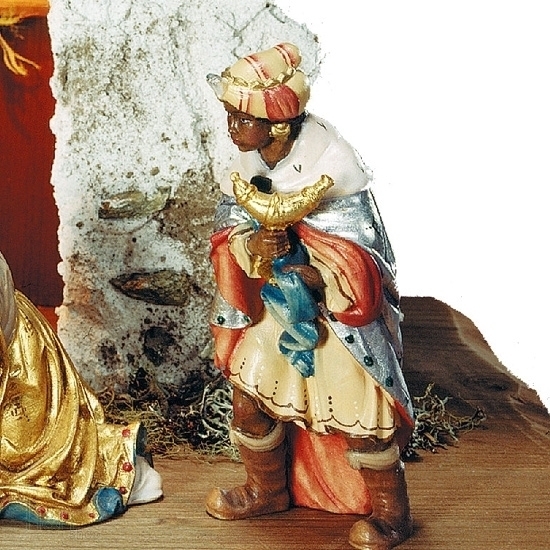 The wooden sculptures are finely decorated, hand-painted with oil colours and rich in details: note the robes of the three Kings and Joseph and Mary. 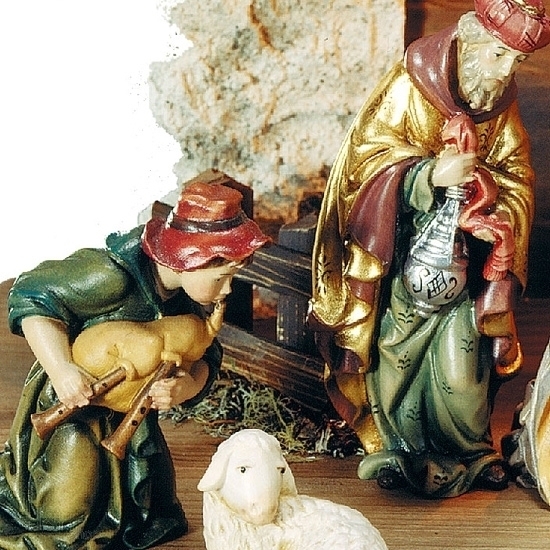 Every King is well recognized for the detail with which they are represented: Melchior, Gaspar and Balthasar with myrrh, gold and incense.